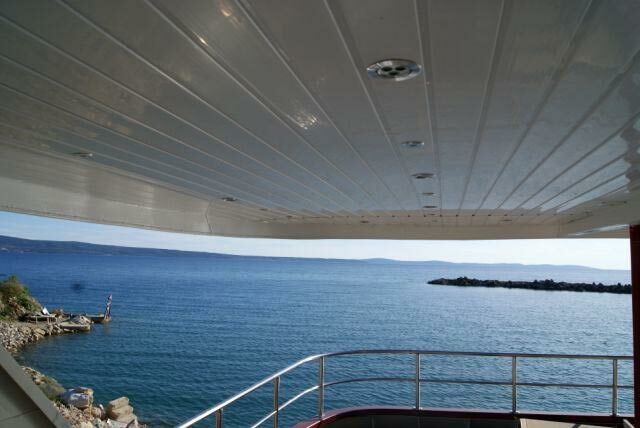 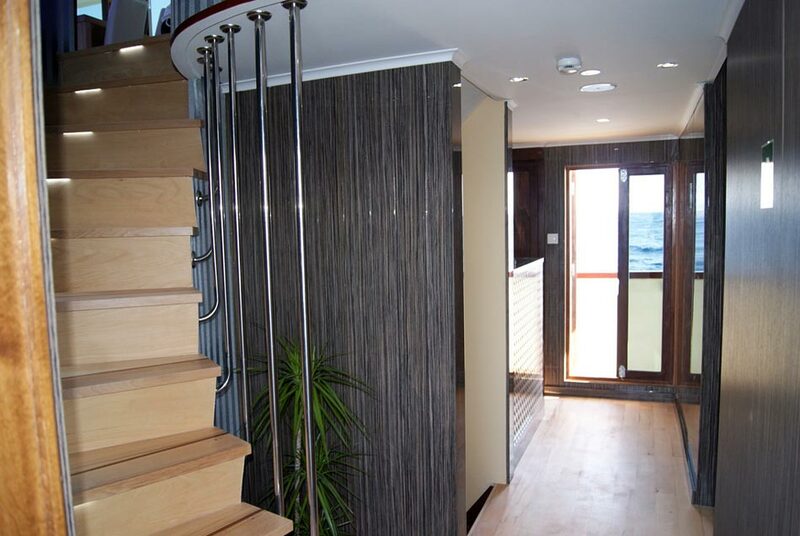 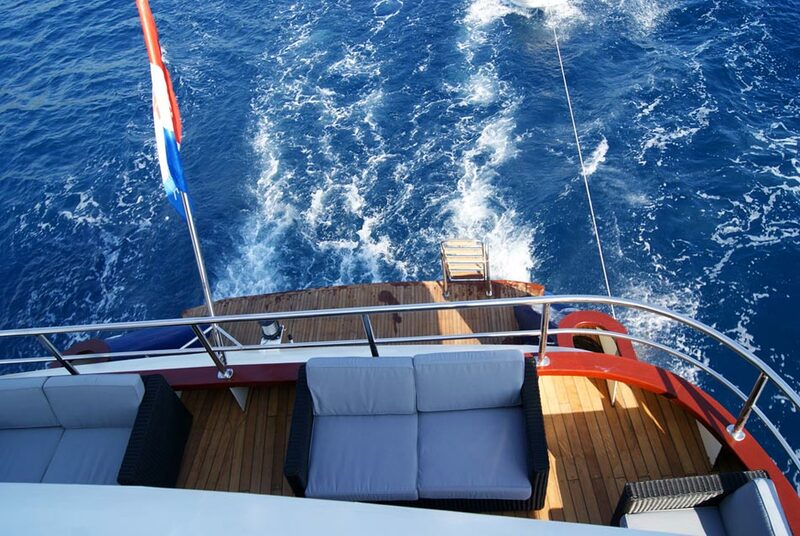 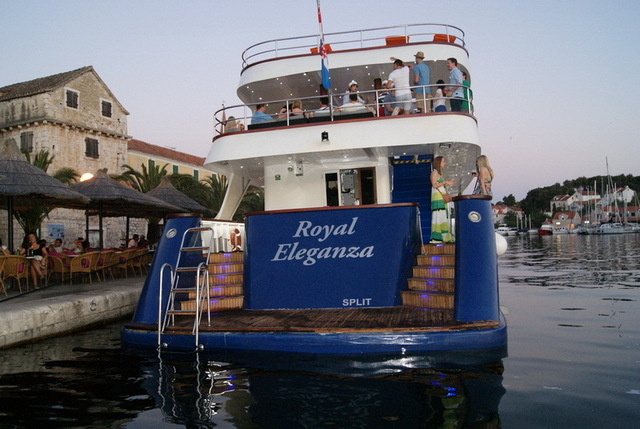 Mini Cruiser Royal Eleganza is beautifully crafted vessel built in 2012 specifically for sailing the Dalmatian Coast. 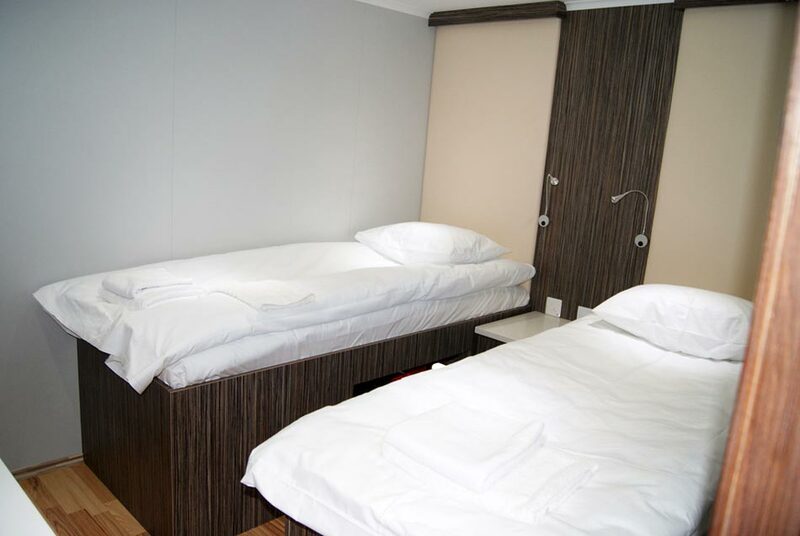 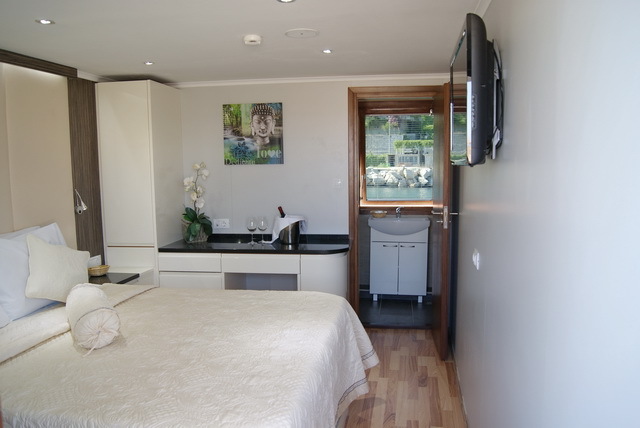 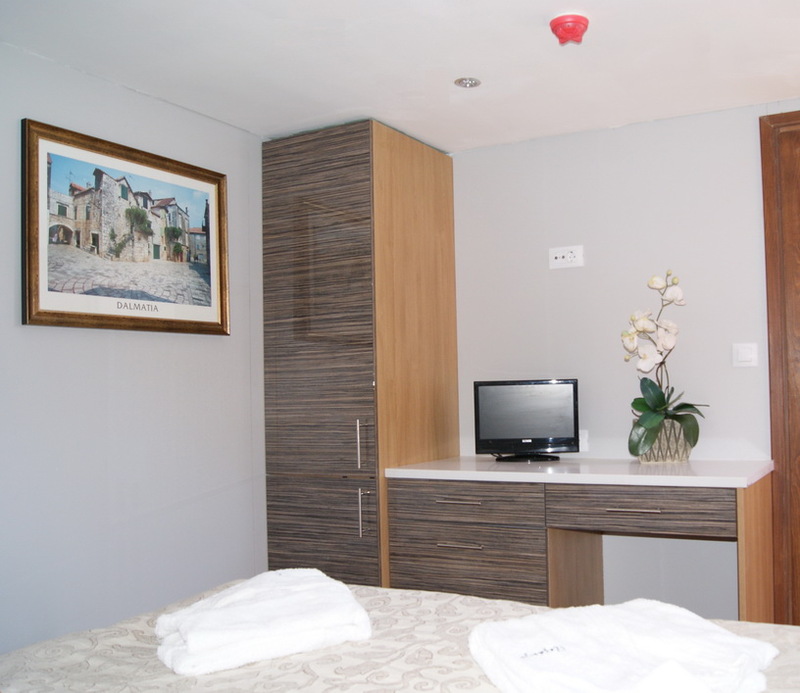 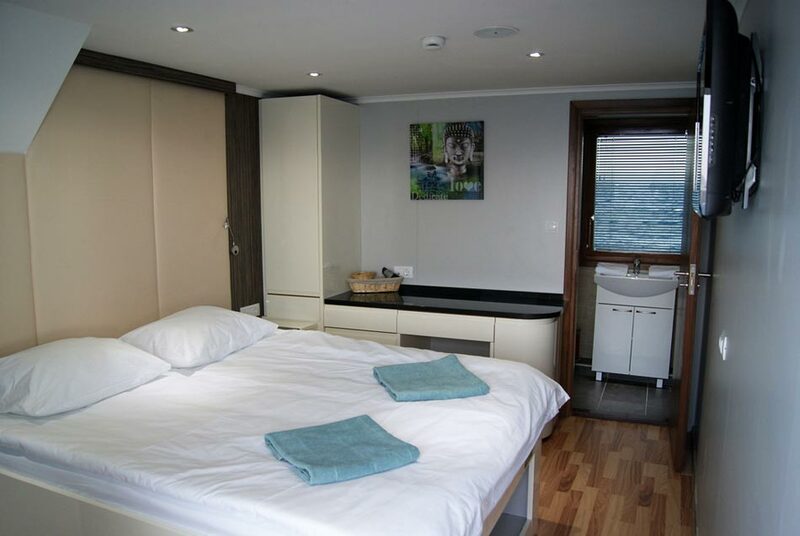 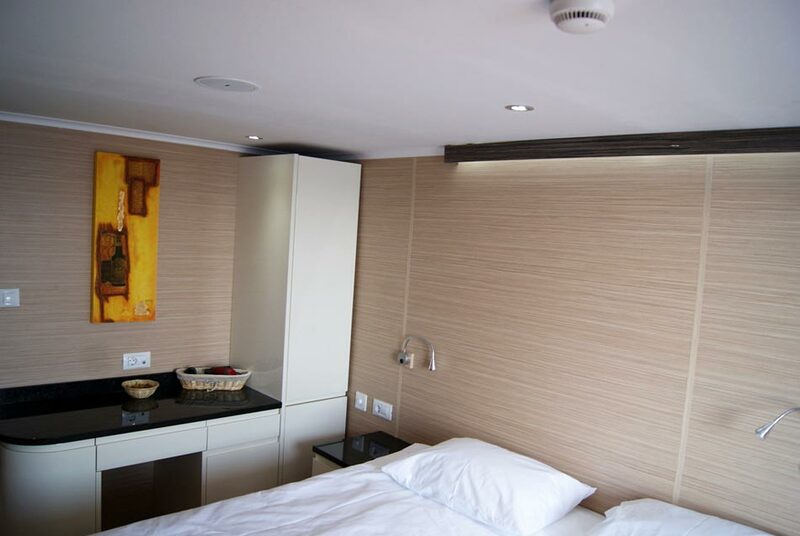 The 17 cabins are equipped with a safe, air conditioning/heating, hair dryer, flat screen TV. 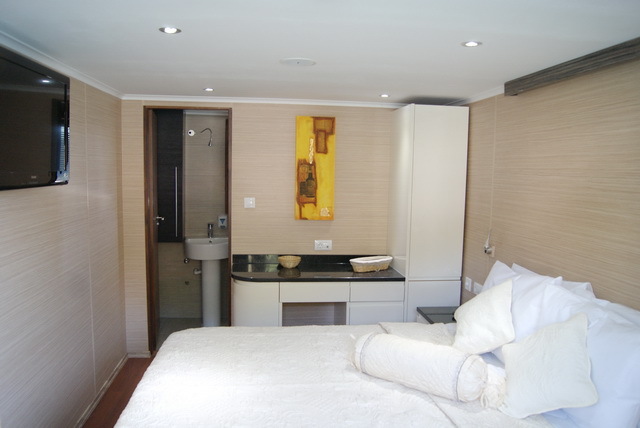 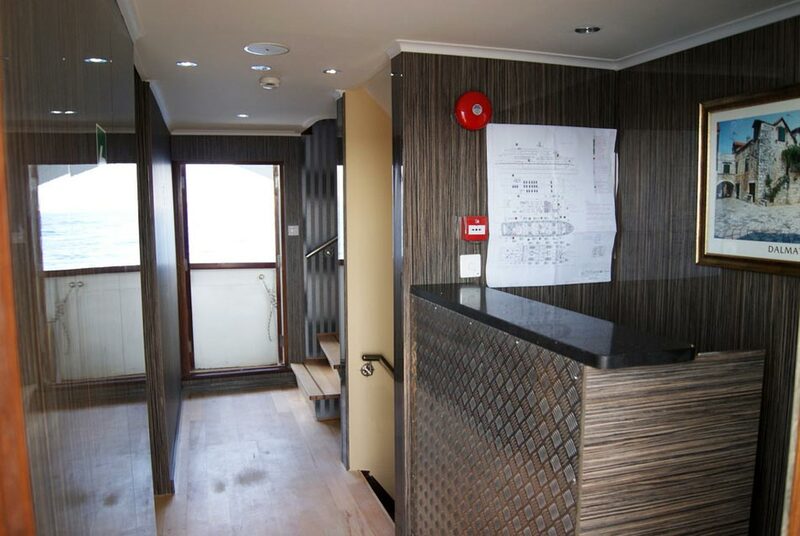 Each cabin also has an en-suite bathroom with shower and toiletries. 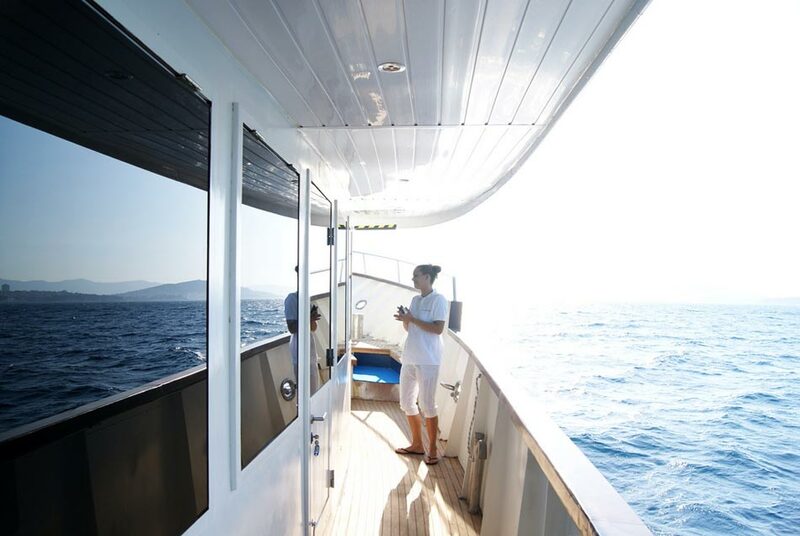 For your convenience there is also complimentary wi-fi internet connection onboard. 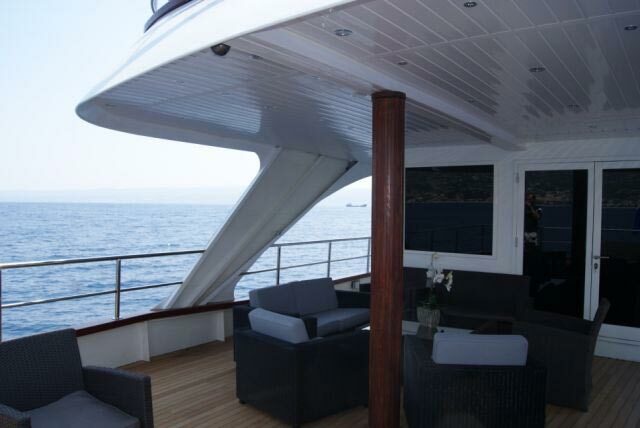 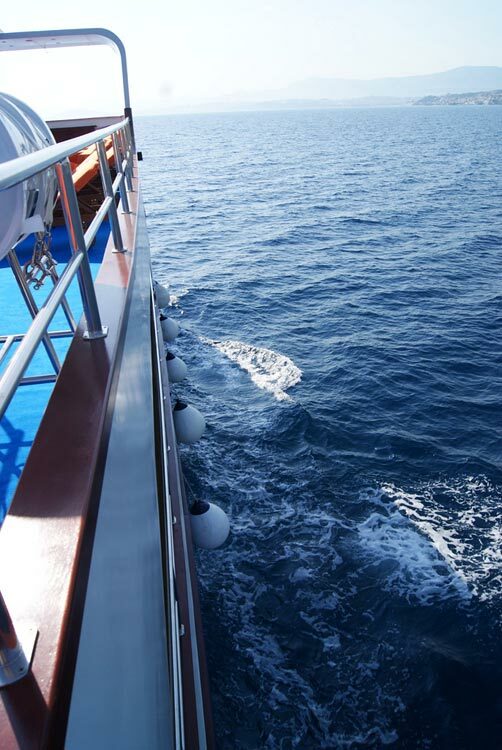 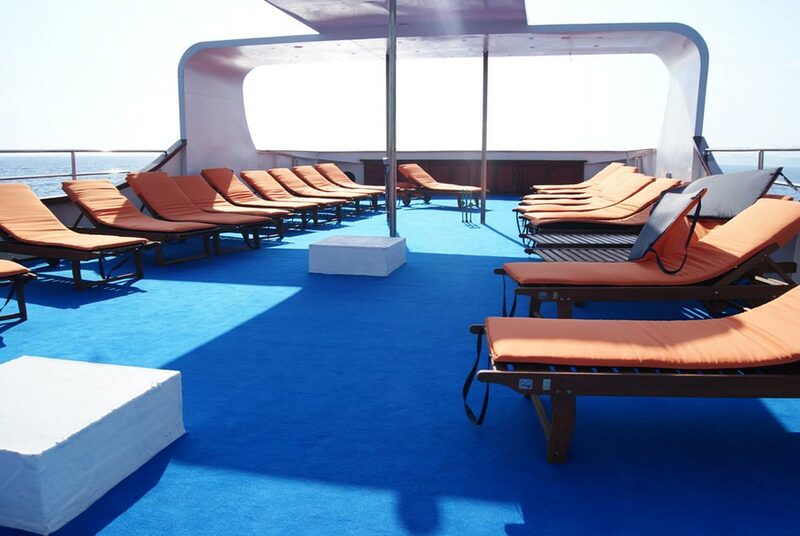 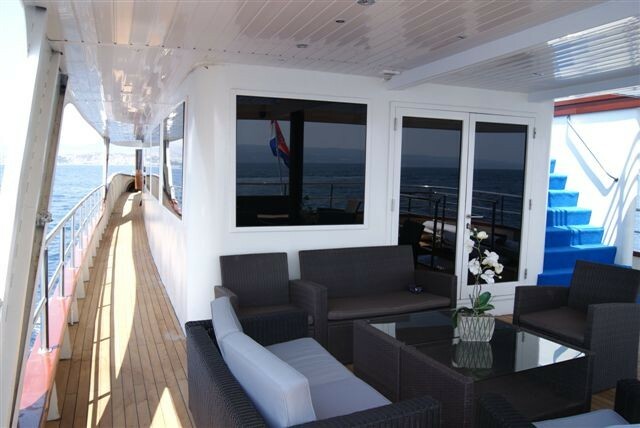 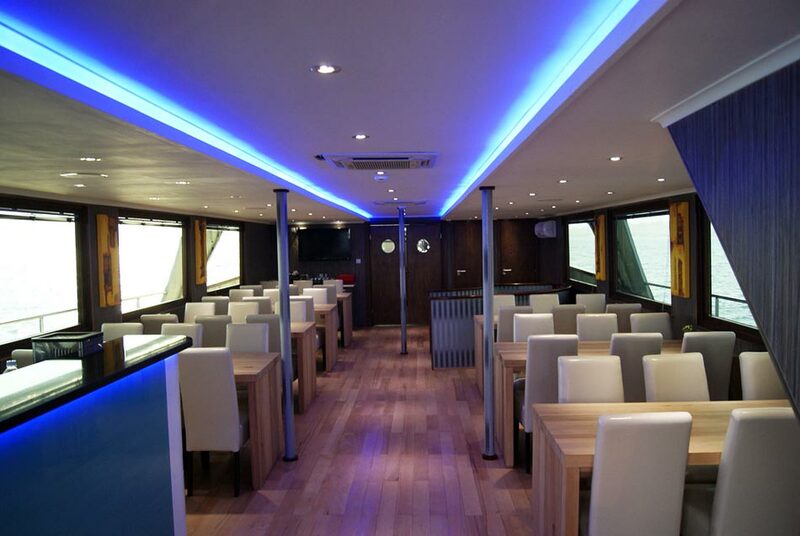 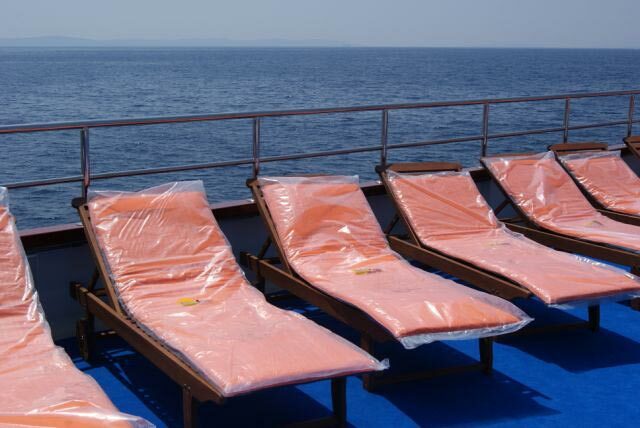 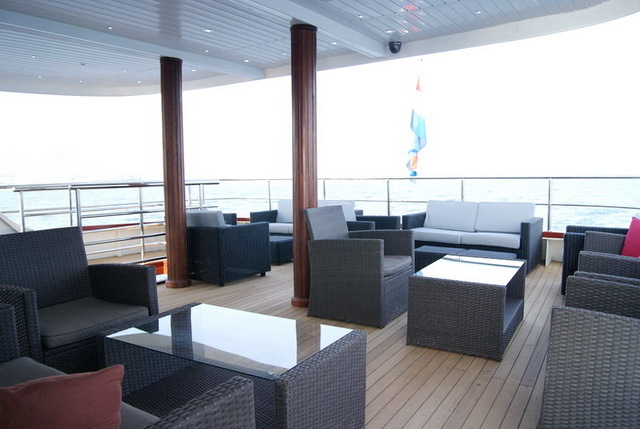 The Sun Deck on Royal Eleganza is the perfect place to watch the passing scenery and features a bar and comfortable sun loungers. 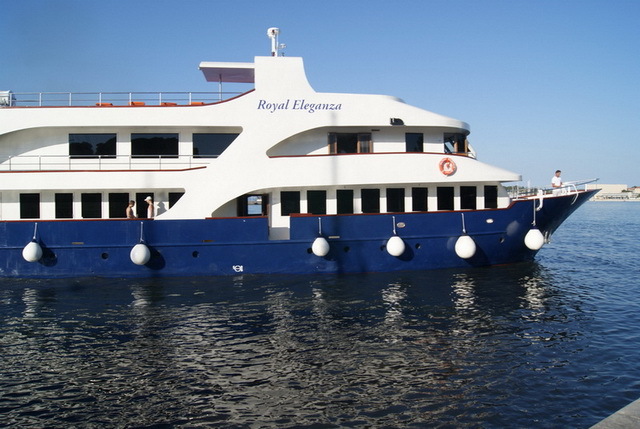 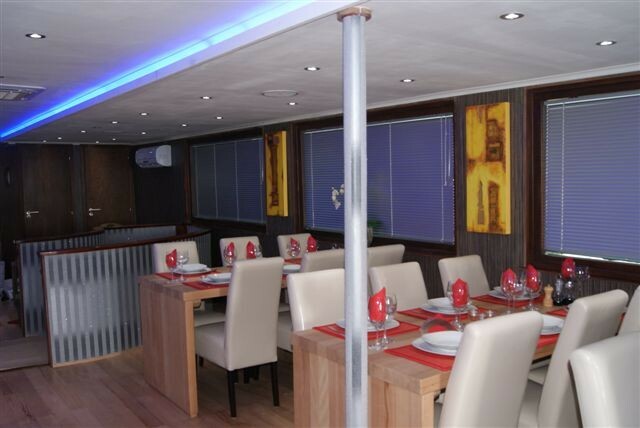 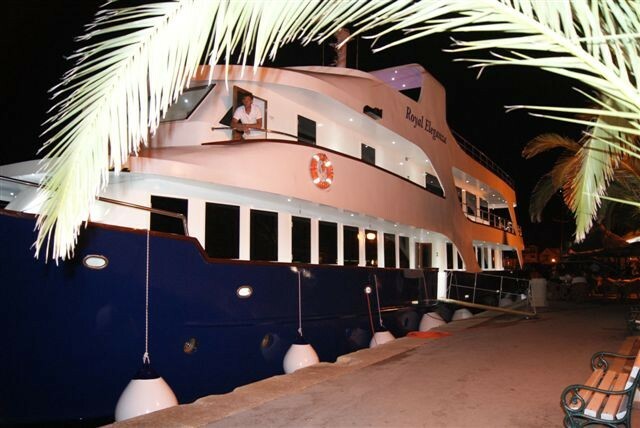 Dining onboard Royal Eleganza is a casual affair featuring locally sourced fresh food including fresh fish every other day. 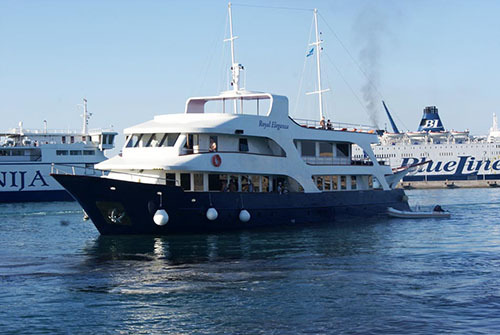 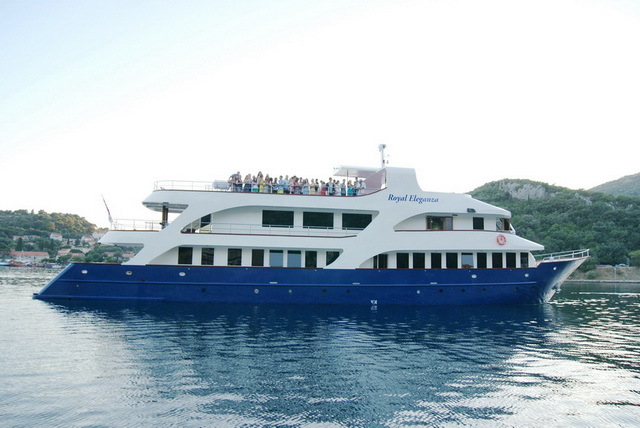 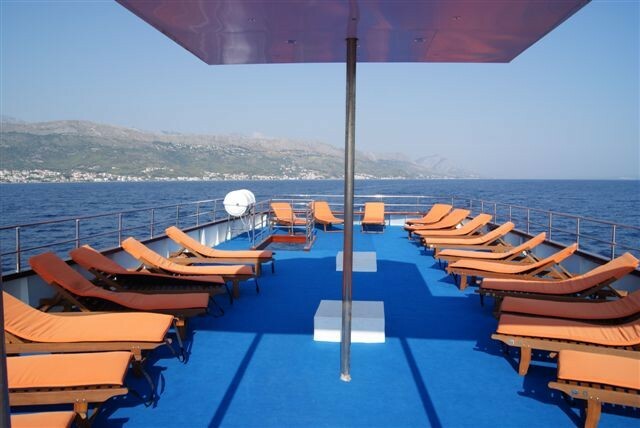 There is a team of seven friendly Croatian crew members onboard who speak fluent English and whose service will enrich your overall enjoyment of Royal Eleganza cruising on the Croatian Adriatic Coast. 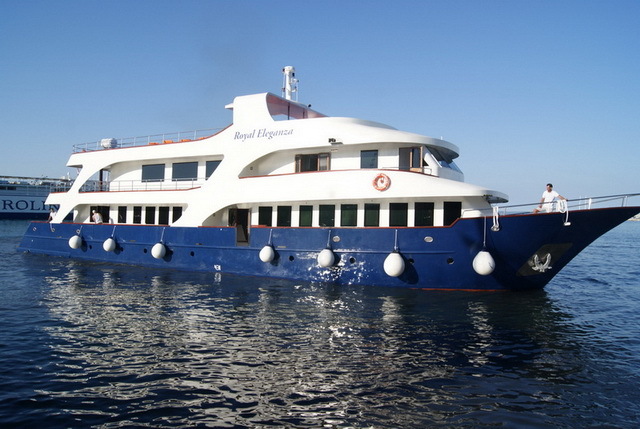 Diesel Tank 2 X 6 T.
VAT, fuel for 4 hours of navigation per day, local taxes, crew, crew salaries, use of all equipment on board, complete bed clothes and towels, in average 6 hours of air-conditioning per day (while yacht is out of port as air-conditioning is being powered by generator and as long as it needs while yacht is in port), insurance of the ship, insurance of passengers and crew, residence tax (in Croatian waters), charter services during the agreed cruising time, ship’s departure from and arrival in the harbour, 1x sheet/week and 2x towels/week (3 per person).